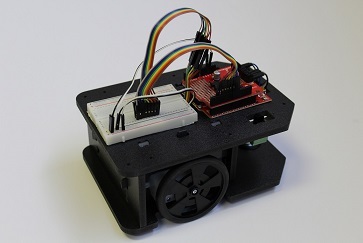 Small Three-Layer Circular Robotics Chassis kit with motors. 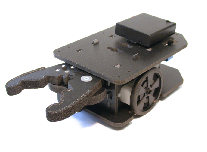 Add a Gripper to your Robot project with the Gobbit Gripper with Servo. 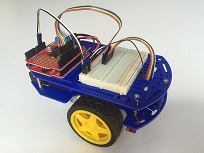 Includes all the parts for to create a Gripper for your robot project, HS-425BB servo, end Panel for the Gobbit Chassis, and 4AA battery holder with switch. 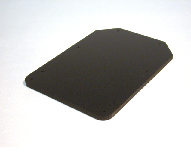 MaxSonar-EX sensor end panel for the Gobbit Chassis Version 2. Blank stackable deck for the Gobbit chassis. Includes standoffs with machine screws for adding a single deck. 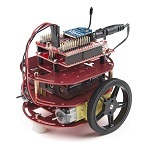 Robotics Starter Kit based the the Arduino controller and Romi Robot Chassis. Includes QTR-8RC RC Reflectance Sensor Array. 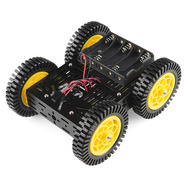 Beginning Robotics Kit based the the Arduino controller and Gobbit robot chassis Version 2. Includes QTR-8RC RC Reflectance Sensor Array. 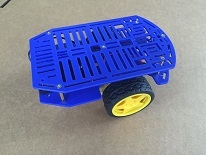 Robotics Starter Kit based the the Arduino controller and Magician robot chassis (Blue). Includes QTR-8RC RC Reflectance Sensor Array.